Mumbai, May 26 (IANS): A day after it lost over 300 points, a benchmark index of the Indian equities markets, the 30-scrip BSE Sensex, closed 112 points or 0.41 percent down on Tuesday. 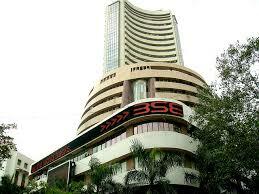 The BSE Sensex touched a high of 27,675.94 points and a low of 27,473.54 points in the intra-day trade. In Europe, London’s FTSE 100 edged-down by 0.22 percent. France’s CAC 40 was higher by 0.31 percent, while Germany’s DAX Index lost 0.50 percent at the closing in the Indian markets.